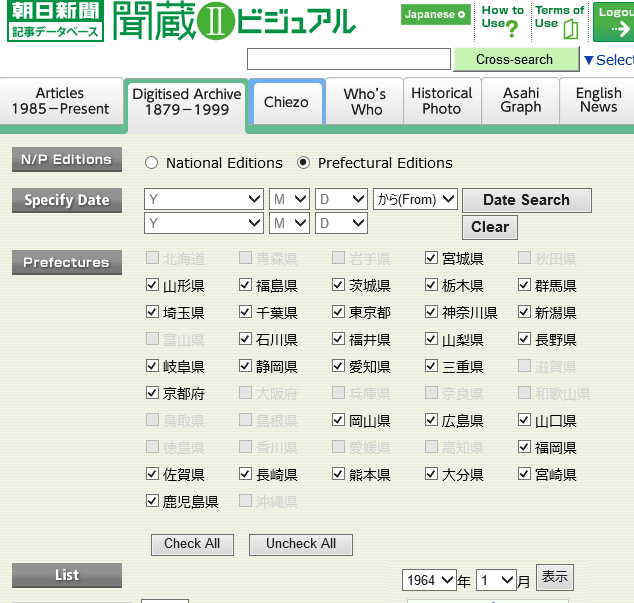 The Asahi Shimbun has added a database of its English-language newspapers in Kikuzo II Visual. 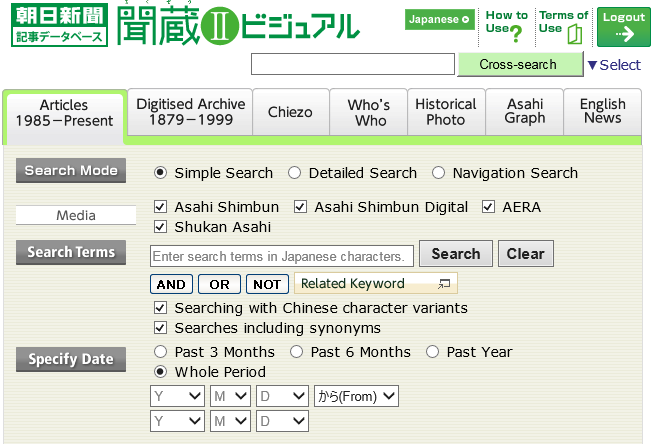 You are able to perform a full-text search of articles published in the Asahi Shimbun section of "The International Herald Tribune/The Asahi Shimbun (the IHT/Asahi)," and "AJW (Asia & Japan Watch)" dating back to April 2001. In April 2018, We added past local news page images of thirty prefectures to the “Reduced-size Facsimile Edition” of its database.The editions of other prefectures will also be added one by one.